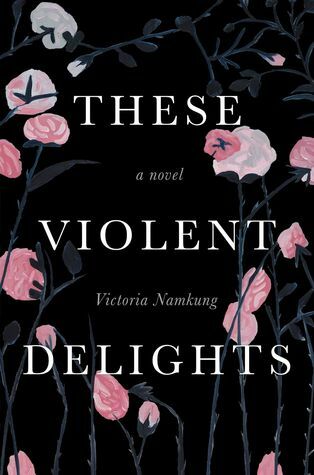 These Violent Delights by Victoria Namkung. Griffith Moon, 2017. Hardcover. 243 pages. These Violent Delights is an intricate, carefully-written story of the sexual abuses that many woman face, along with the complexities and seemingly endless complications that come with it. This book does this by telling the story of three women's struggles to come forward and have their accusations taken seriously and fairly. I have incredibly conflicting thoughts about this book, so let's start with the things I liked. The subject matter of this book is so important. As mentioned, These Violent Delights focuses on the stories of three women who were sexually abused by the same man--an educator-- when they were teenagers. We are seeing scenarios strikingly similar to this everyday, and it is disheartening to see people who either don't believe victims or who feel that it is okay to further harass the victims. This aspect of the book was all too accurate. Namkung clearly did her research on these topics and took extreme care to tell this story with the utmost sensitivity and, at times, brutal honesty that they deserve. Her writing is sharp and poignant at many times,drawing clear points to many effects that often come with sexual abuse, such as victim-shaming and other difficult obstacles. I am incredibly impressed with the content itself and how realistic the entire story and circumstances were. What I didn't like about this book was that I didn't really care about any of the characters. I sympathized with them and everything that happened to them, and their circumstances also made me think more about other women in this same position, but the characters themselves just had no life. It was presented in a very exemplary manner to me, as if this book was solely written to send a message and forgot to include characters and writing that draws the reader in to be emotionally invested in the story, and thus make the story truly successful at sending its message. I just wanted more from this book. Much of the content of this book is given in newspaper articles, letters, etc., which got a bit dreary at times. I felt certain areas were rushed or not fully given the time and effort that they should have, which was slightly frustrating. I really just wish that this book had been written in a more engaging and accessible manner since the topic is so incredibly important. Overall, I've given These Violent Delights three-and-a-half stars. I loved the message of this book and I would heartily recommend it for that alone, but the story itself just lacked the depth and emotional investment that it needed, and for that reason I had to dock some stars from its rating.